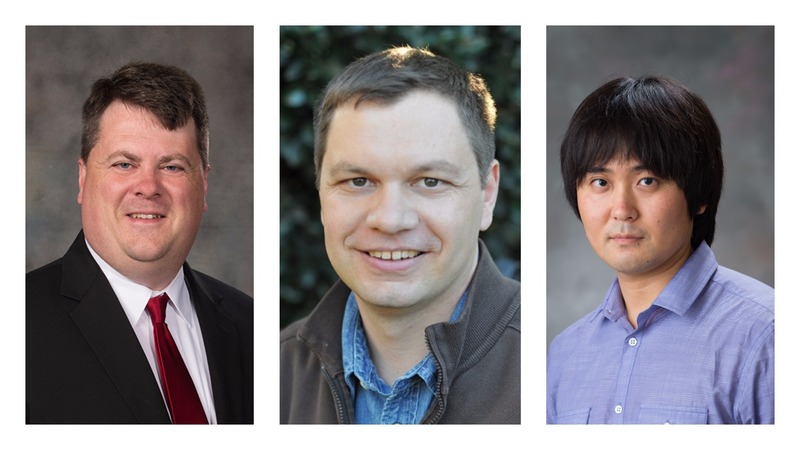 Three University of Nebraska-Lincoln (UNL) faculty members, Mark Wilkins, Troy Gilmore and Gota Morota, have been selected for funding by the São Paulo Research Foundation (FAPESP) in Brazil with projects ranging from water management to biomass material development and beef cattle genetics. The program aims to promote the engagement of U.S. researchers with higher education institutions in the State of São Paulo, Brazil. Participants will further develop ongoing research projects and work cooperatively to establish joint research projects for the medium and long term. UNL awardees include Mark Wilkins, professor of biosystems engineering and food science and technology in the Department of Biological Systems Engineering; Troy Gilmore, assistant professor in the School of Natural Resources; and Gota Morota, assistant professor of quantitative genetics in the Department of Animal Science. Wilkins, who also serves as the director of the Industrial Agricultural Products Center, will conduct a project to encourage innovative use of by-products from the ethanol industry to produce bio-based materials while Gilmore’s proposal will provide new data for conceptual models to create science-based policies for groundwater management. Morota's project will call for continued collaborative effort between UNL and the University of São Paulo Luiz de Queiroz College of Agriculture (USP/ESALQ), intending to deliver more robust genomic predictions within and across beef breeds. The call for proposals invited research in many fields of knowledge, emphasizing science, technology, engineering and math. UNL joins the following institutions in being selected for funded proposals: Australian Technology Network of Universities, Brunel University London, Emory University, Heriot-Watt University, London School of Economics and Political Science, Lund University, University of Bath, University of Illinois, University of Miami, University of North Carolina-Charlotte and University of Queensland. UNL’s Institute of Agriculture & Natural Resources (IANR) has prioritized faculty collaborations with institutions in São Paulo state over the last several years and signed an agreement with FAPESP last year to advance these collaborations to the next level. This relationship, which has been supported by IANR’s Office of Global Engagement and the Agricultural Research Division, has given researchers from both sides the opportunity to engage in ongoing projects and apply for joint funding. For more information about upcoming calls for proposals and other opportunities to collaborate with Brazil, please contact Liana Calegare, IANR Global Engagement Coordinator at lcalegare2@unl.edu.